INCREASED funeral costs are forcing more people to cut back with cheap coffins — some are even burying loved ones in the back garden. Other money-saving gambits include slashing the budget for flowers, having the wake at home and passing up on embalming the body, a study found. It comes as SunLife found the cost of a funeral has risen by 4.7 per cent to an average of £4,078. The increase — more than 70 per cent in the past decade — has prompted Britons to look for short cuts. 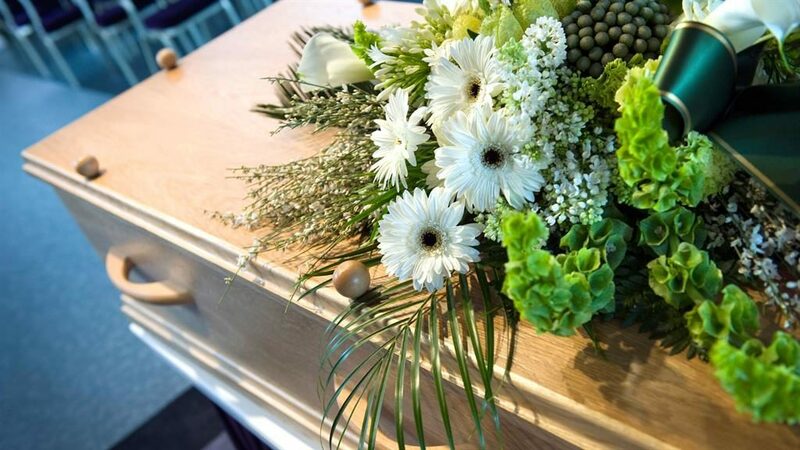 Dean Lamble, from SunLife, said: ‘The fact people are cutting back on aspects of the funeral they can control — the type of coffin, the wake, the flowers — highlights the growing costs associated with it. More than one in three people who have recently organised a funeral said they would want their own to be as cheap as possible.’ One in 12 would prefer a woodland burial, he added. The insurer’s cost of dying report, which polled more than 1,500 people, found the coffin is the first thing they cut back on — with more than a third saying they ended up choosing a cheaper casket than they would have liked. ■ BELL POTTINGER’S British arm was put into administration yesterday after the global public relations agency ran a racially-charged political campaign in South Africa that prompted a client exodus. The firm failed to find a buyer after it lost a major shareholder and customers. ■ RUPERT MURDOCH’S £11.7billion bid to grab full control of Sky is to be referred to the Competition and Markets Authority by the government. Culture secretary Karen Bradley raised concerns about the tycoon’s record on broadcasting standards amid fears the deal could give him too much power. ■ THE number of home owners re-mortgaging in July to take advantage of competitive rates was at the highest level since the start of the year. The 36,800 total was up seven per cent on June and ten per cent higher than a year ago, said UK Finance, which represents banks and building societies. Overall, the number of re-mortgages in the past year has been at the highest level since 2009.